The importance of effective and total energy isolation cannot be over-emphasised at every possible instance, given the heavy damage accidental re-energisation of equipment under maintenance continues to cause. Be it due to the lack of awareness, the absence of clear-cut processes and guidelines, or poor implementation of Lockout Tagout processes, it has been observed that de-energisation is a key contender for close attention, especially when working with automated and integrated processing systems. It is but natural for complex and integrated systems comprising a series of heavy machinery to be powered by multiple energy sources – electrical, hydraulic and/or pneumatic. Scheduled maintenance or repairs on these systems require team effort, where trained and experienced technicians get on the job after isolating all sources of power in an organised manner. Each source of energy is locked out using a suitable energy isolation device, with MCB lockout toggles or pin-in/pin-out lockouts widely used to lock MCB switches on circuit boards. Fluid and gas sources are shut tight with the help of suitable butterfly, gate or ball valves. Being a team effort, each isolated source usually sports multiple locks to ensure power is fully restored only after all the technicians have cleared the area. Using a group lockout box ensures controlled access to locked out points on different equipment during a team job. Group lockouts are usually supervised jobs. Each member of the maintenance or repair team, including the supervisor, is provided with their own set of security padlocks and keys. Instead of each team member applying their locks on a specific energy isolation device, using group lock box now enables the team to apply just one lock on each energy source. 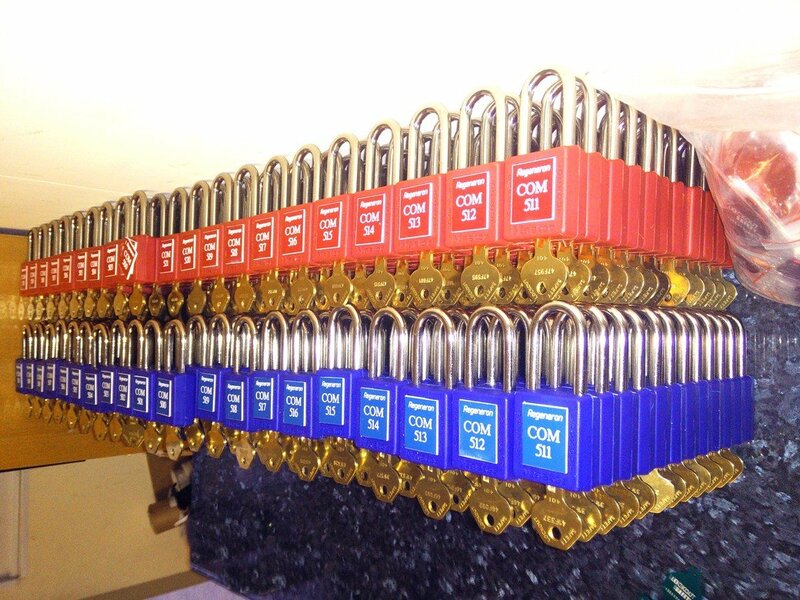 The keys of these security locks can then be stored in the group lockout box. Authorised employees can now apply their personal security padlocks on the group lockout box. 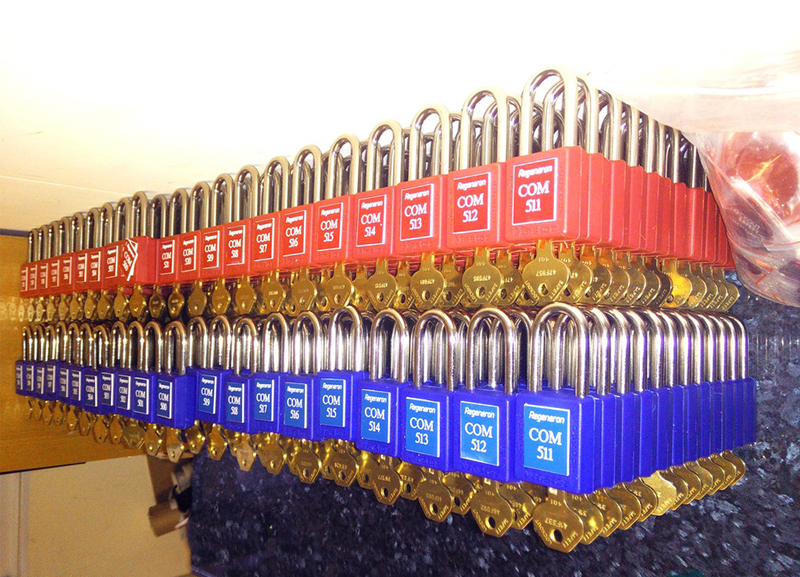 This means the keys to energy isolation devices such as Pin In / Pin Out lockouts, Universal Circuit Breaker Lockouts, or ball, gate and butterfly valves stored within the group lockout box cannot be accessed unless all authorised employees remove their personal padlocks to release the keys, only after ensuring the equipment is ready for regular use. Having a team of technicians on the shop floor on a maintenance or repair job is no casual task. De-energising all energy sources systematically, coordinating the team effort to get issues rectified, restoring power in phases to test each machine if needed and then the full system, and clearing the space for use necessitates the need to ensure that all electrical and valve lockouts are foolproof and are safe from unauthorised or accidental access, before and during maintenance. Using group lockout boxes for the job makes the process effective, safe, simple and traceable.